No, it's not in Canada. Fort Vancouver is in Washington state, on the northern bank of the Columbia River, just over the state line from Portland, Oregon. The town is home to this year's affiliate cup champions - CrossFit Fort Vancouver. Team CFFV dominated the competition at the HDC this year, and took home the cup. Perhaps the writing was on the wall after and impressive first place finish at the Northwest Regional Qualifier. 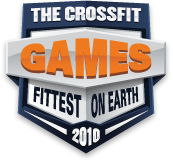 At the Games, they took first place in 2 of the 4 events (the deadlift/pistol/row and chipper) for the weekend. 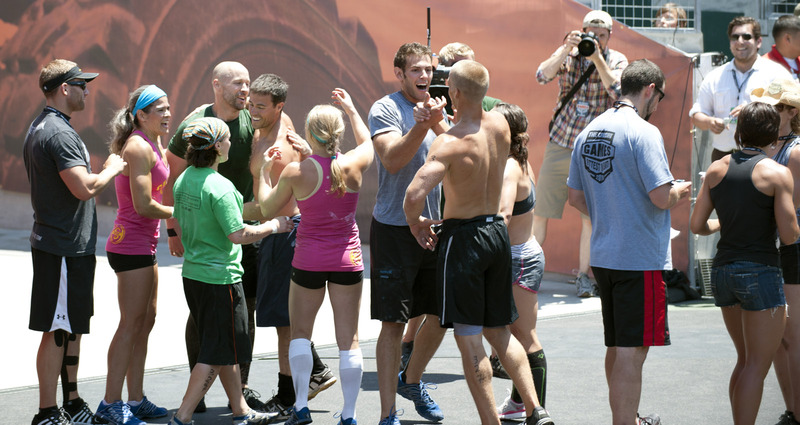 Their other finishes were 2nd (thruster/pullup/buddy-carry) and 6th (max overhead) making them the overall winner by an authoritative 19 points. Carey Peterson headed north to learn more about the dark horse squad. In Carey's first meeting with them, the crew chose an interesting method to warm up. Even though it's been several weeks already, the acheivement is still very remarkable. Great job guys, love you all. 30 August 2010 / 9:15 p.m.
31 August 2010 / 9:09 a.m.
Epic photo and team performance! So proud of you guys across the river! :) All bets are on for CFV 2011! 31 August 2010 / 9:39 a.m.